This renaissance-themed children's area was part of a much bigger party involving multiple themes. 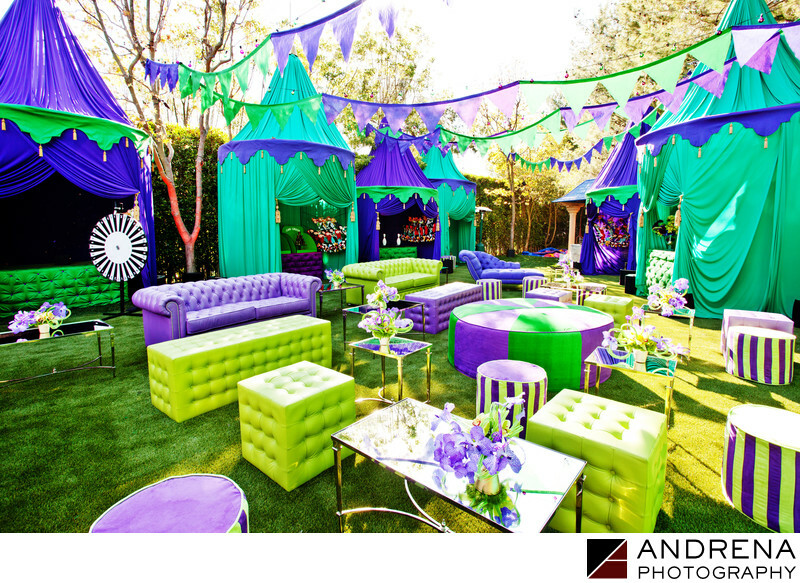 The combination of green and purple -- courtesy Sonia Sharma Events and Revelry Event Designers -- created a stunning area for children to play games and watch performances. This event took place at a private estate in Beverly Hills.